China and the US are in the final stage of completing a trade deal, with Beijing offering to lower tariffs and other restrictions on American farm, chemical, auto and other products and Washington considering removing most, if not all, sanctions levied against Chinese products since last year. The agreement is taking shape following February’s talks in Washington, people briefed on the matter on both sides said. They cautioned that hurdles remain, and each side faces possible resistance at home that the terms are too favourable to the other side. 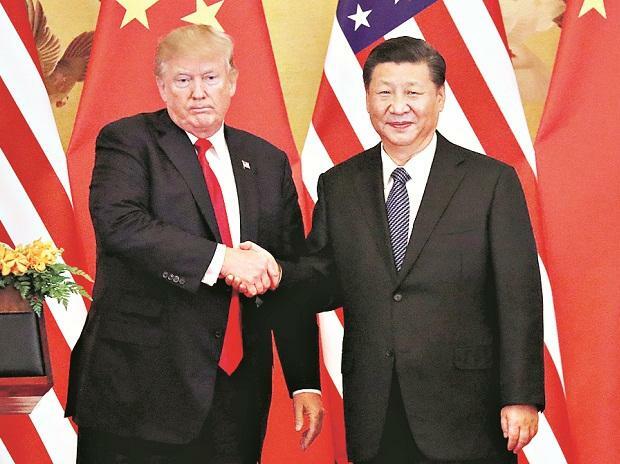 Despite the remaining hurdles, the talks have progressed to the extent that a formal agreement could be reached at a summit between President Trump and Chinese President Xi Jinping, probably around March 27, after Mr Xi finishes a trip to Italy and France, individuals with knowledge of the plans said. Beijing would also step up purchases of goods—a tactic designed to appeal to President Trump, who campaigned on closing the bilateral trade deficit with China. One of the sweeteners would be an $18 billion natural-gas purchase from Cheniere Energy Inc., people familiar with the transaction said. The two sides continue to negotiate over issues involving Chinese industrial policy the argues gives Chinese domestic firms an advantage, especially state-owned enterprises. Last week, Trade Representative Robert Lighthizer said the provisions involving protecting intellectual property total nearly 30 pages out of a working document of more than 100 pages. and Chinese negotiators are also working on setting up a mechanism through which complaints by companies could be addressed. The plan under discussion calls for bilateral meetings of officials from both countries to adjudicate disputes. If those talks don’t produce agreement, Mr Lighthizer has said, the could impose tariffs. Others involved in the talks said the is pressing Beijing to agree not to retaliate—at least in some cases—if the levies sanctions. That would be a big concession for Beijing negotiators, who say they want to make sure the deal doesn’t turn out to be an unequal treaty for China of the sort imposed by Western powers in the 19th century. Even so, China hawks in the are concerned that enforcement measures may not be strong enough and will tie down the in endless talks. “The whole process is a fraud,” said Derek Scissors, a China expert at the American Enterprise Institute, who argues the could better enforce its will by taking unilateral actions rather than getting hooked into consultations. Former White House strategist Steve Bannon urged the administration to increase tariffs to pressure China to agree to tougher terms even if that meant lengthier negotiations and market uncertainty. “For Trump to get the structural reforms he wants and the country needs could take the rest of 2019 to negotiate,” Mr Bannon said. It isn’t yet clear whether conservative media, which has Mr Trump’s ear, will pick up the criticism. For the Chinese, linking the Florida visit to Mr Xi’s European trip is a way to blunt the impression that he is traveling directly to Mr Trump’s estate to make concessions. A test of Mr Xi’s authority will unfold over the next two weeks, when roughly 3,000 lawmakers gather in Beijing to review the government’s economic blueprint for the year. One wild card in the -China negotiations is the impact of Mr Trump’s failed summit in Vietnam with North Korean leader Kim Jong Un. officials said they hope Mr Xi learns from that episode that Mr Trump would reject an offer he considers inadequate. But they fear Beijing might take the opposite lesson: that Mr Trump is desperate for a win. Both sides also recognize the need to win domestic support. Chinese Vice Premier Liu He, the lead negotiator for Mr Xi, has been holding meetings with various ministries and agencies to build consensus within a bureaucracy that is anything but monolithic. Mr Lighthizer, meanwhile, plans to go to Michigan this week to talk to the United Auto Workers. He told Congress last week that he has tried to incorporate specific requests from labour, business, farmers and lawmakers in a deal. Any deal is likely to be welcome by markets, which have risen on the news that chances of an end to the trade battle were increasing. But given the administration’s heated rhetoric on China—Mr Lighthizer last week said he considered Beijing an existential challenge to the —the provisions are already being criticized as inadequate, especially measures to remake Chinese industrial policies. China has hit LNG with 15% tariffs, as part of the trade fight, and has been buying the product mainly from Qatar, Australia and Malaysia. Mr Trump on Friday tweeted that he asked Beijing “to immediately remove all Tariffs on our agricultural products (including beef, pork, etc. )” in part, because the last week scrapped plans to raise tariffs on $200 billion of Chinese goods to 25% from 10% on March 2 as scheduled. “China is carrying out [state-company] reforms in an orderly fashion, and won’t change the pace because of the trade tensions with the,” Mr Yang said. Beijing has pledged to remove “market-distorting” subsidies, people tracking the talks said, but some in the administration consider that insufficient because Beijing doesn’t specifically enumerate its subsidies, at the central government and local level, and specify which ones it will eliminate.